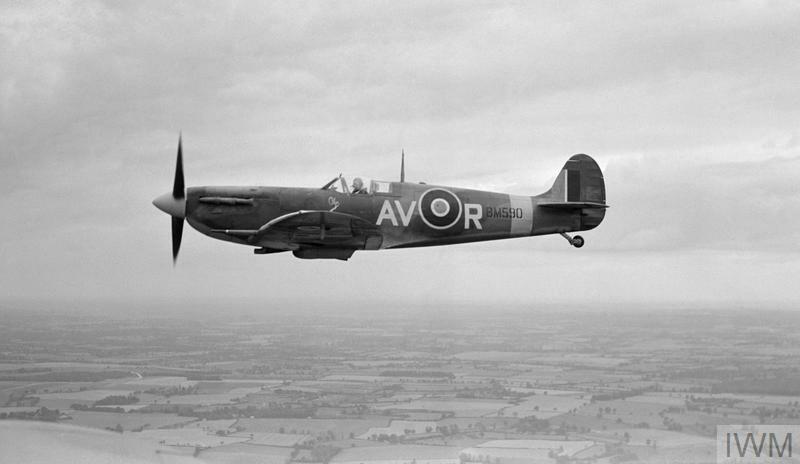 Supermarine Spitfire Mark IIA, P8147 'YT-W' "City of Norwich", of No. 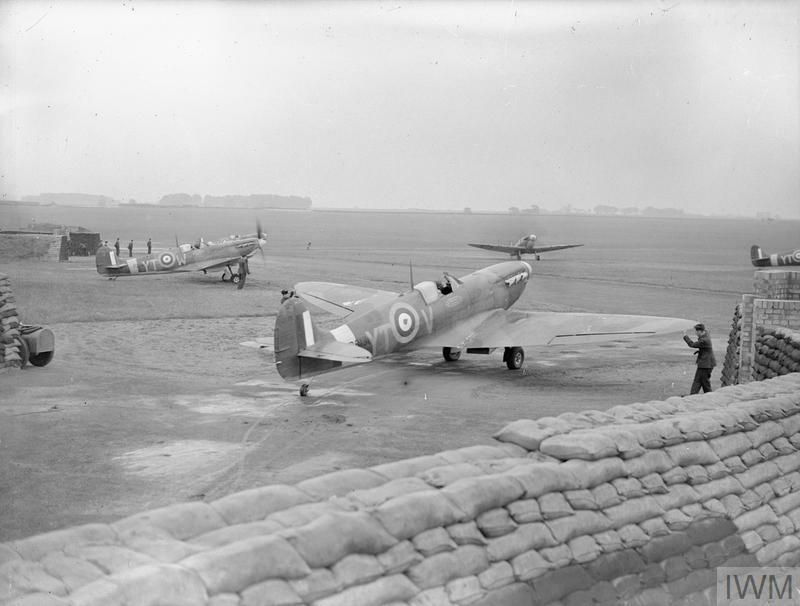 65 Squadron RAF, attended by groundcrew prior to starting up at Kirton-in-Lindsey, Lincolnshire. 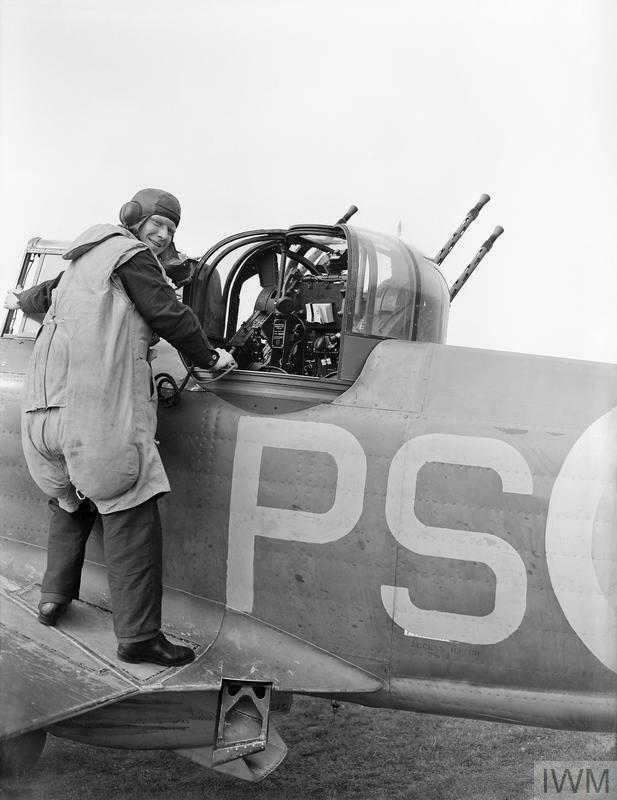 After 65 Squadron, P8147 served with a number of units prior to being struck off charge in 1944; these included Nos. 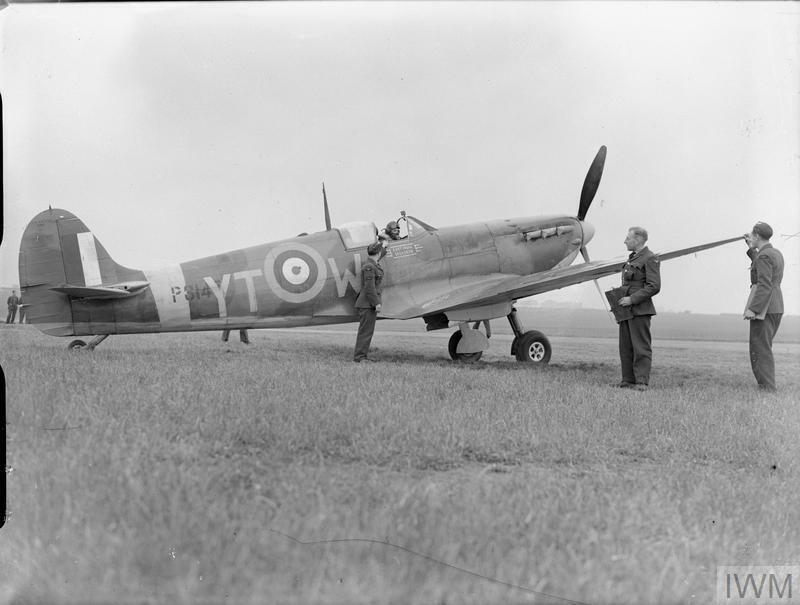 306, 308 and 350 Squadrons, No. 52 Operational Training Unit, No. 5 (Pilots) Advanced Flying Unit, No. 57 Operational Training Unit and finally the Central Gunnery School.